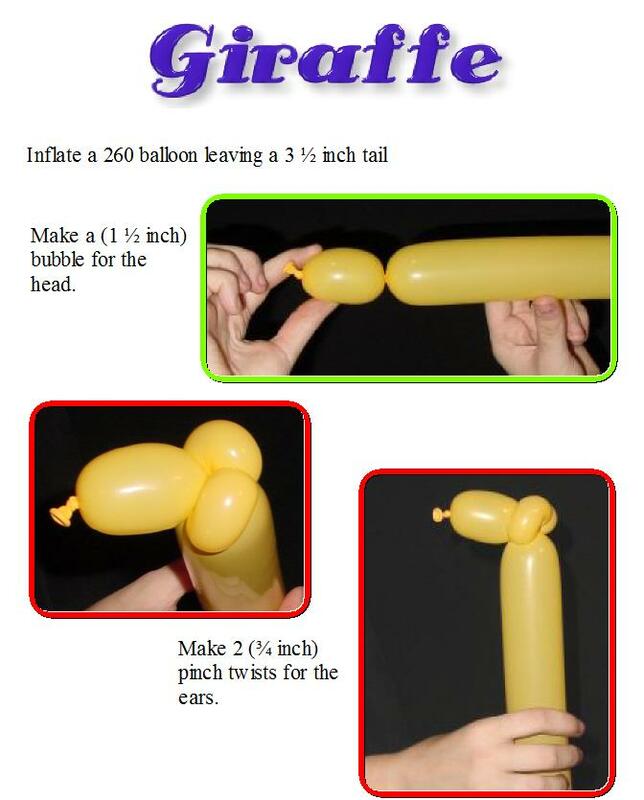 Giraffe's are always popular, even though the basic one is little more than a dog with a long neck and pinch twisted ears. Keep a brown marker on hand for making spots. 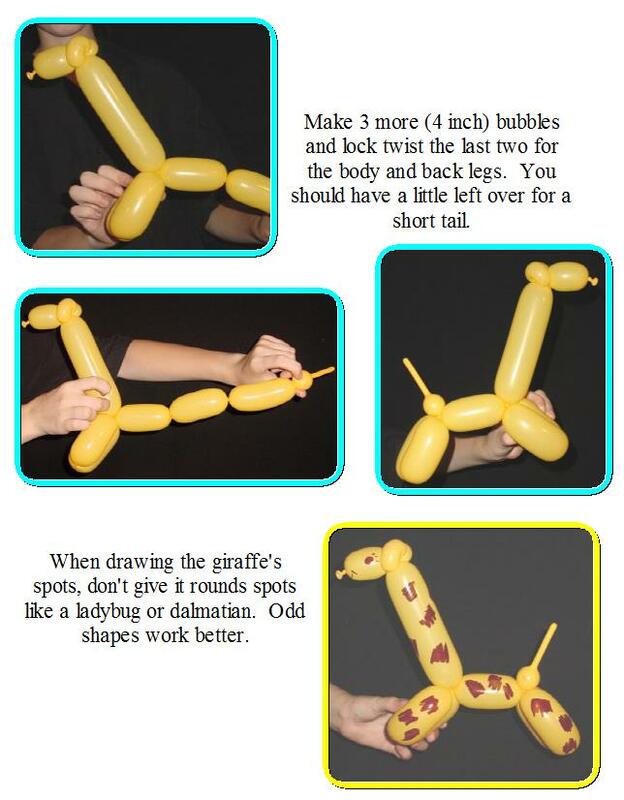 I like to use goldenrod balloons for my giraffe and the brown really pops against that background.